Photo credit John Hicks. 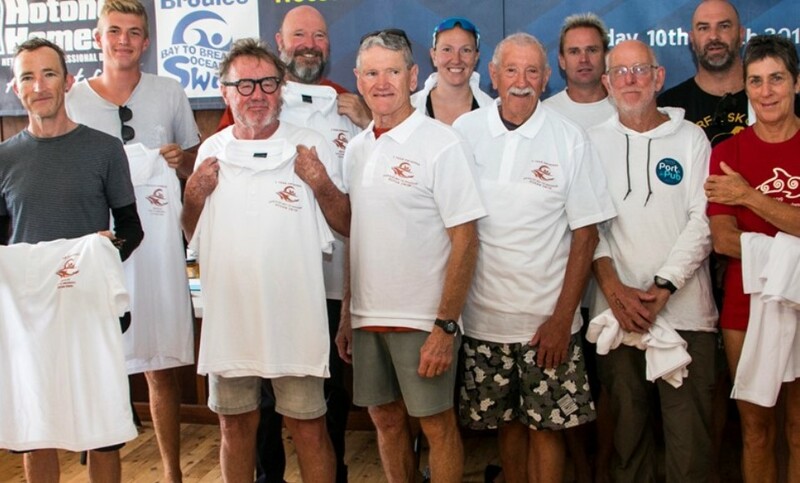 ‘Five year Swimmers’ presented with shirts to honour their five years of continuous participation. 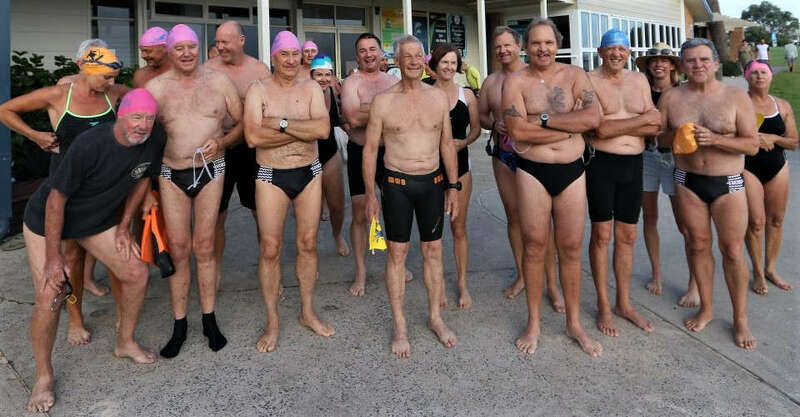 Mollymook swimmer Ray Ackerman (3rd from the left) competed for the sixth time this year. “A small crew from Mollymook swam in this years Broulee Bay to Breakers 1.4km swim. 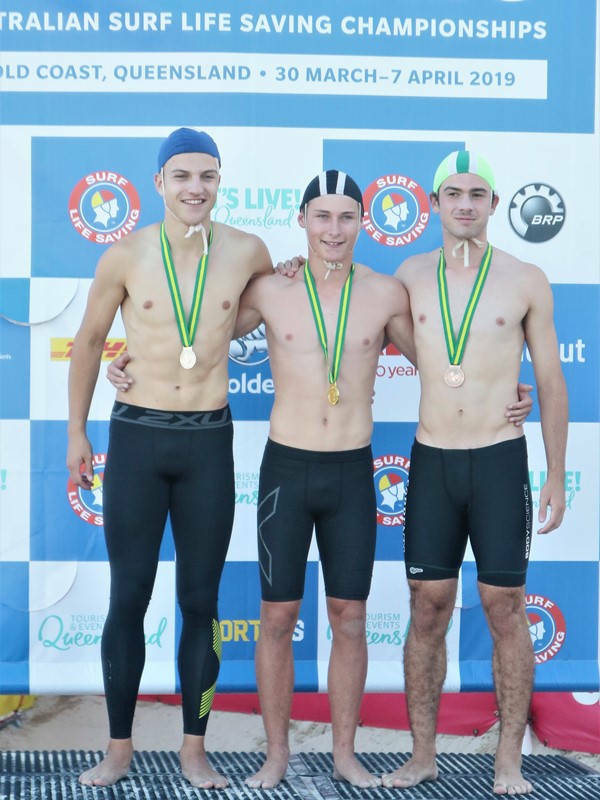 (the actual distance was 1.525km as swum). Perfect conditions were a treat to swim in for the record 400 plus registered swimmers. A tiny swell made navigation between the oversize bouys a no brainer. A large number of safety craft were on attendance and things went relatively smoothly. On the home stretch there was the occasional wave but for the majority of people it was a swim all the way. The water temp was 21.6 and the swim time air temp was 19. 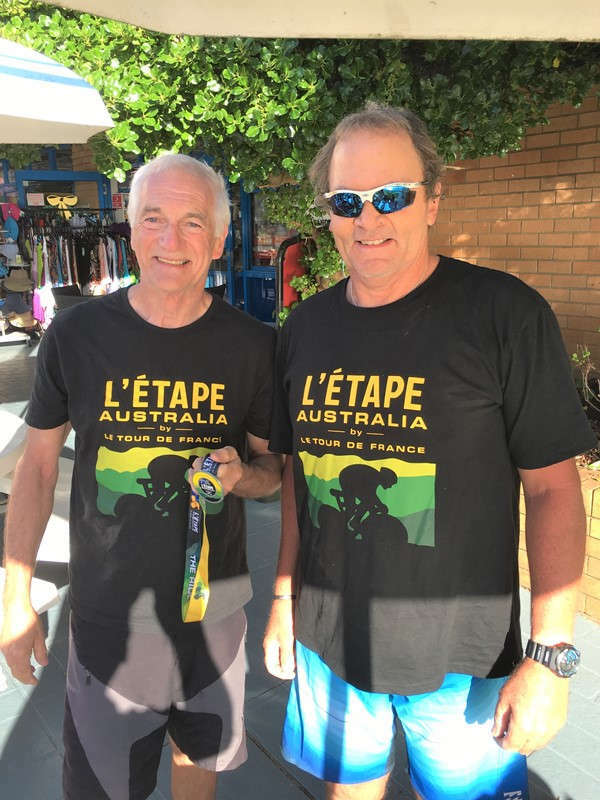 All competitors received their 2019 t-shirts (see person far right in pic) along with other sponsored goodies. 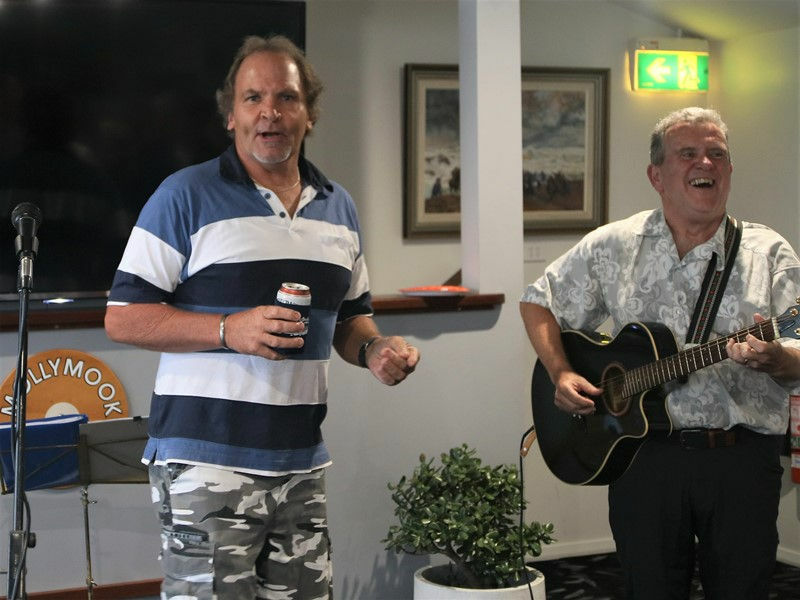 Post swim presentation was well attended and several drink and food stations throughout the club house provided hearty BBQ delights. The surf club bar opened soon after the race completion. A relaxing time was had by all”. Clean Up Australia Day – A great success! 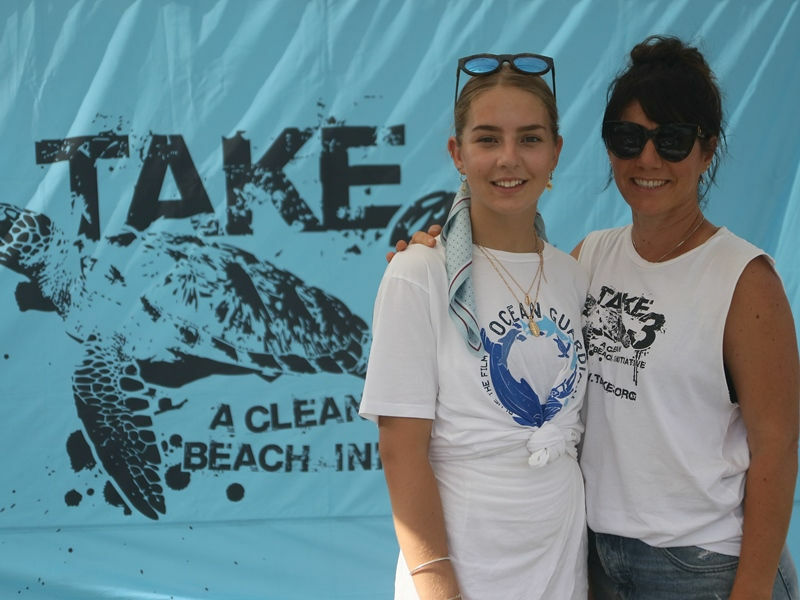 Education Program Manager, Australia wide for ‘Take 3 for the Sea’, Monica Mudge was at Mollymook this morning and expressed her heartfelt gratitude for the number of volunteers who turned up for today’s ‘Clean up Australia Day’ at Mollymook Beach. 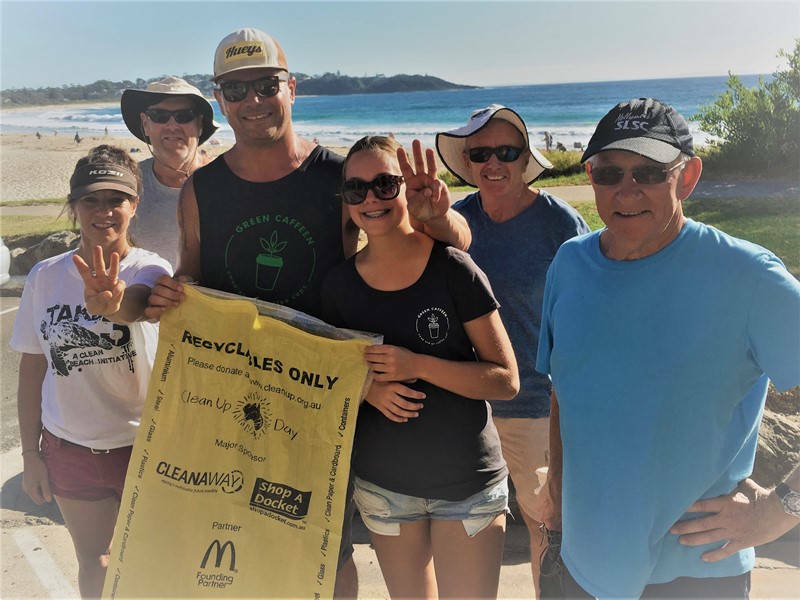 The backbone of the Mollymook Beach clean up was and usually is the Mollymook Beach Ocean swim group and their spouses/partners. Today the swimmers commenced their morning swim early to ensure they were ready to start at 8.00 am. 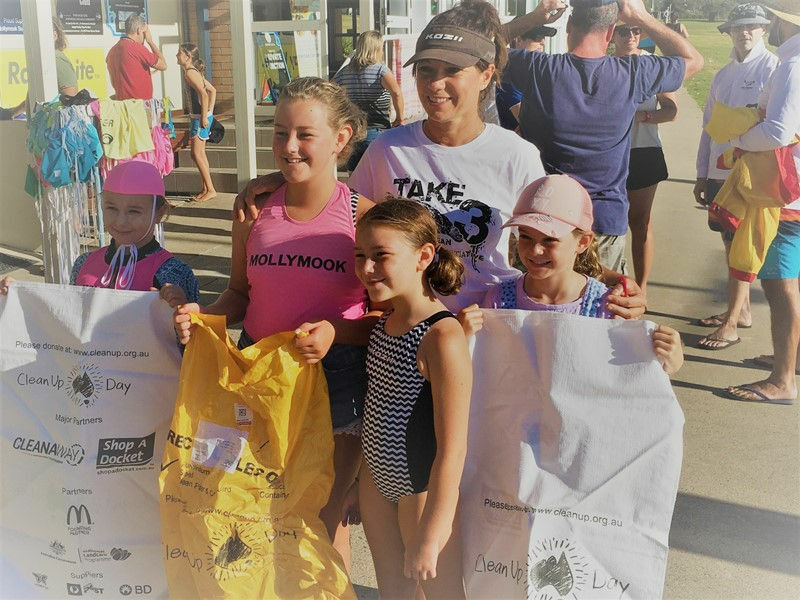 They were also joined by some members of the public as well as the ‘Take 3 for the Sea’ surf club nippers led by youngster Julie Armstrong. 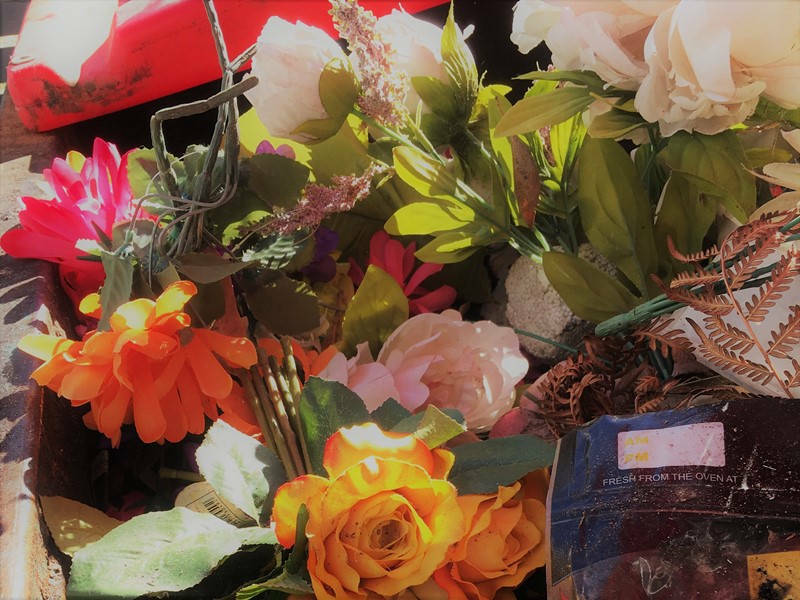 With such a large turn out of volunteers, they were able to collect rubbish along the entire length of Mollymook Beach from the north end to the south end, around to Collers Beach, the Golf Club course and parking area, the cemetery and adjoining streets/gutters/path ways. Rubbish included a bike riding helmet, old discarded building items and some old clothing. Volunteers mentioned that the worst offenders were those leaving their cigarette butts everywhere. 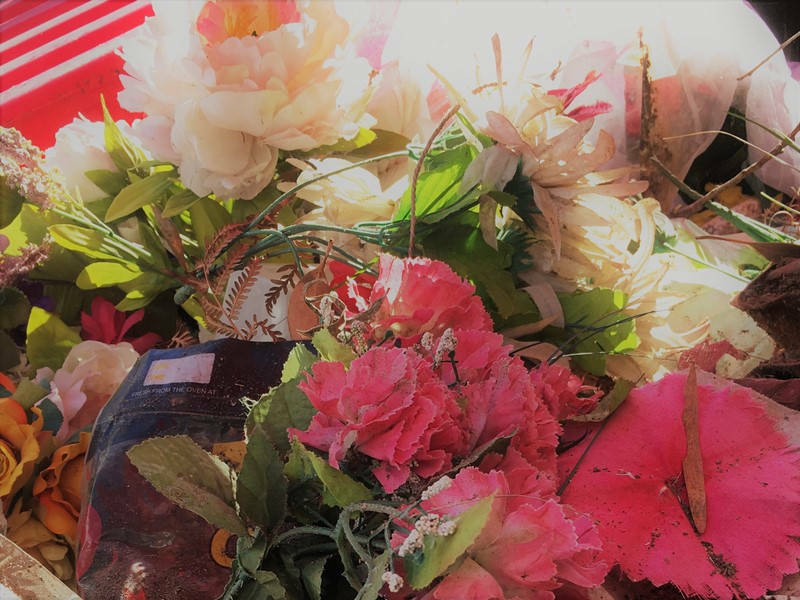 Other volunteers mentioned how this year the cemetery was no where near as bad as past years with the amount of plastic flowers blown all over the cemetery. Being so close to the ocean this type of un-managed rubbish which finds its way onto our park lands, beaches and even into the ocean was less than past years and gratitude was expressed towards those that have taken this issue to heart. Volunteers enjoyed coffee, muffins & freshly baked scones provided gratis by the Mollymook Golf Club at the conclusion of the ‘Clean Up’. 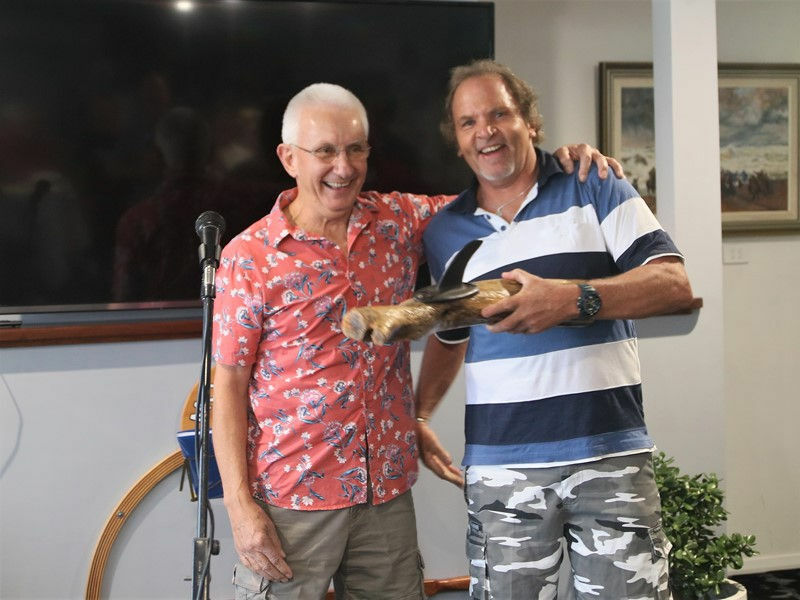 Garry Hunt, 2018 Mollymook Ocean Swimmer of the Year. 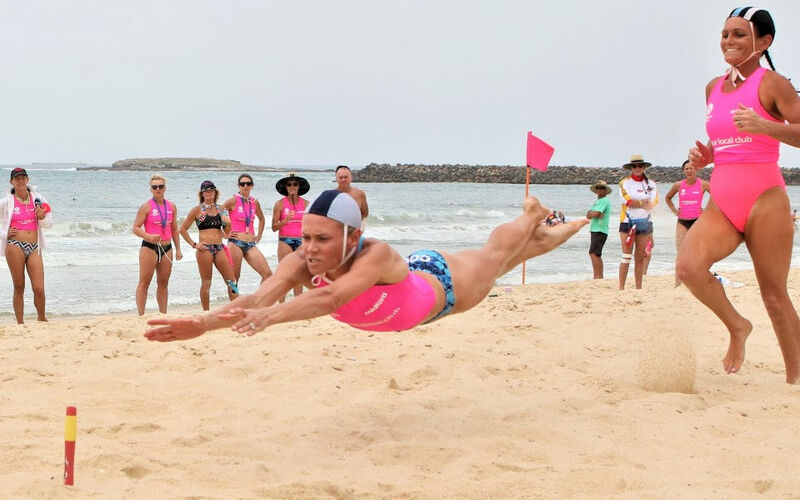 2018 Mollymook Ocean Swimmer of the Year. 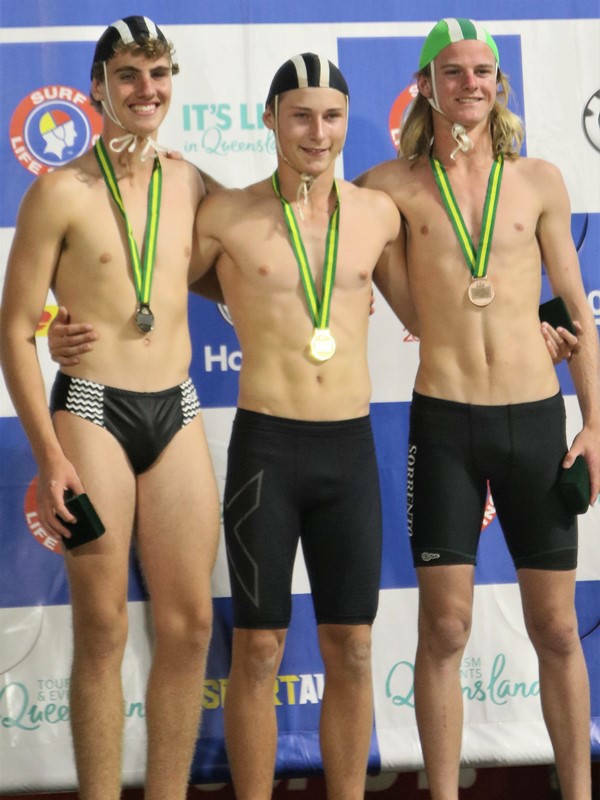 Spontaneous thunderous applause greeted the announcement of Garry Hunt as the 2018 Swimmer of the Year. Garry was a unanimous choice for this year’s coveted trophy. Regarded as an all-round champion individual. He greets everyone with a smile and never has an ill word for anyone. Furthermore, he is a determined swimmer who never gives up regardless of the conditions. 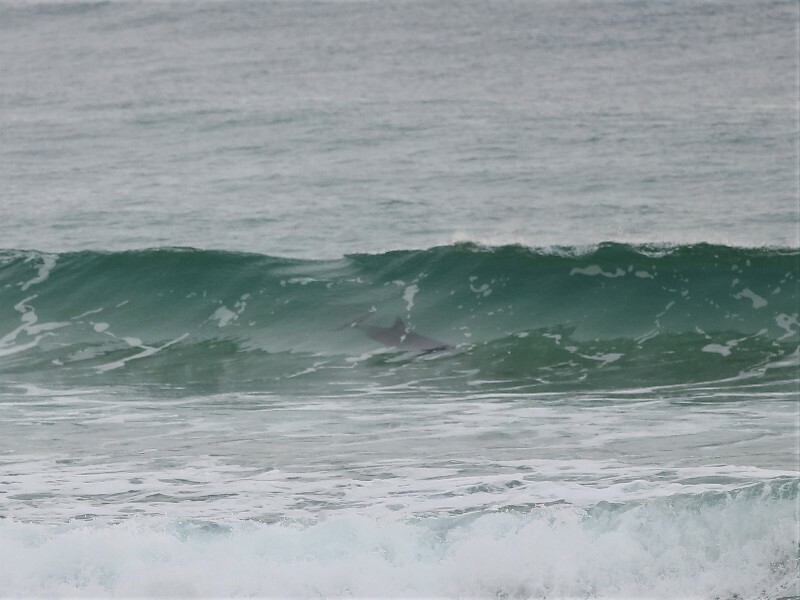 Playful dolphins this morning. 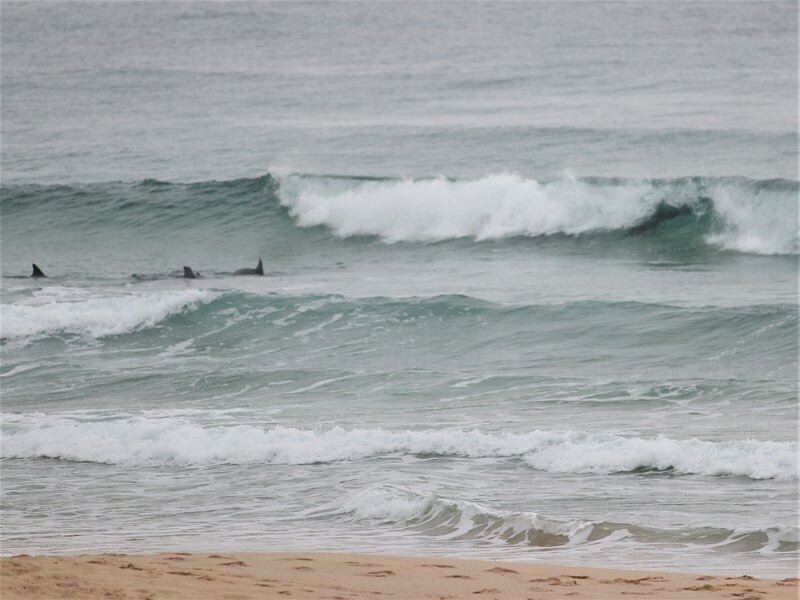 One dolphin was madly flapping its tail which is an indication it was possibly giving birth to a baby dolphin. The flapping is reportedly an aid in the birth process. Swimmers Christmas party: Save the date, Saturday December 22, 2018 at the Surf Club upstairs with a planned start at 6.00 pm. Pot luck evening meal, so bring a plate and some nibbles. Also bring your own alcohol, glasses, crockery and cutlery. For more info speak to our organiser Sean. 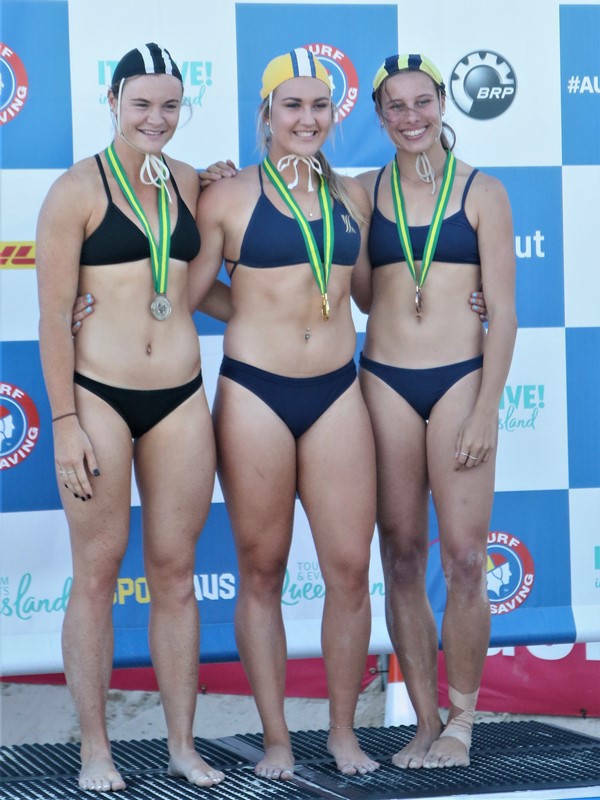 The Mollymook U/19 female boat crew win BRONZE at SLS World Championships, Glenelg Beach S.A. 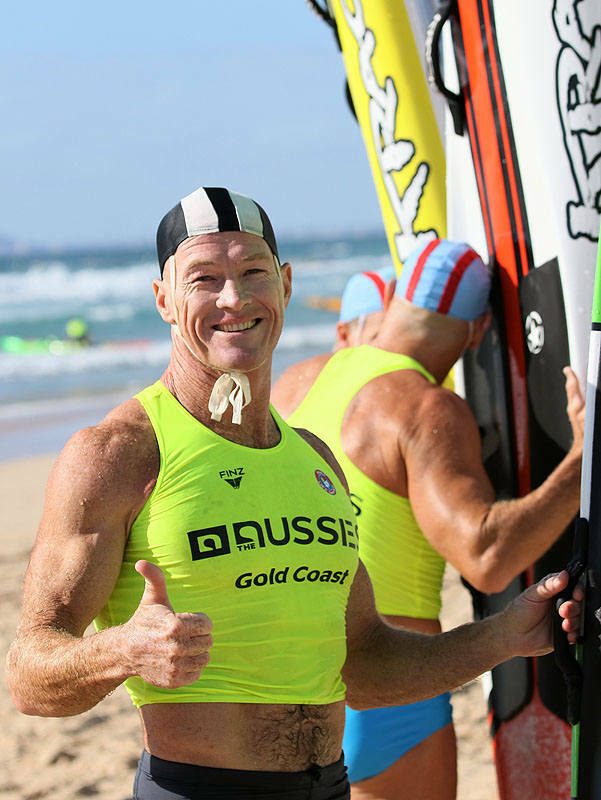 This was undoubtedly the most inspiring effort I (Ken) have witnessed in my 60 years of surf association & competition. On Friday the teens were scheduled to compete in 3 heats to determine the top 12 crews that would proceed through to the semi-finals scheduled for Saturday. However Thursday and Friday’s master’s events had to be all crammed into the Friday due to the disruptive weather earlier in the week. This resulted in our teenage crew of 16 and 17 year old girls having to compete in 3 heats, a semi and a final all on the Saturday. A monumental task, a massive undertaking for these youngsters, who it is understood were the youngest crew competing in the entire carnival. The difference a day can make: Saturday arrived and the surf was absolutely flat, there was to be no luck like catching a wave, the best rowers would win the medals. Marty mentioned that “they didn’t come with high expectations, but to see how they would fare against the best crews”. In the 3 heats during the morning they gained a place in each heat thus qualifying for one of the two semi-finals that would pitch the 12 best crews against one another. These were the last few events to be decided on the Saturday. With little time to recuperate after the third heat, the youngsters lined up for their semi-final. Would fatigue now take its toll some wondered? The surf was flat and the wind had disappeared, there would be no respite to be had from runners or such like, every race was pure hard slog. In their semi they came from behind to claim 2nd position and a place in the final. It was an amazing effort! The final can be seen in the various pics below. Their start was like ‘poetry in motion’ brilliant! They reached the first ‘gate’ buoy just behind the leading bunch. Then out to sea they reached the turning buoy in about 4th or 5th position, their turn was executed perfectly. They were 4th at the gate buoy on the way home just behind the New Zealand crew using the Henley boat with possibly 80 metres left to row. 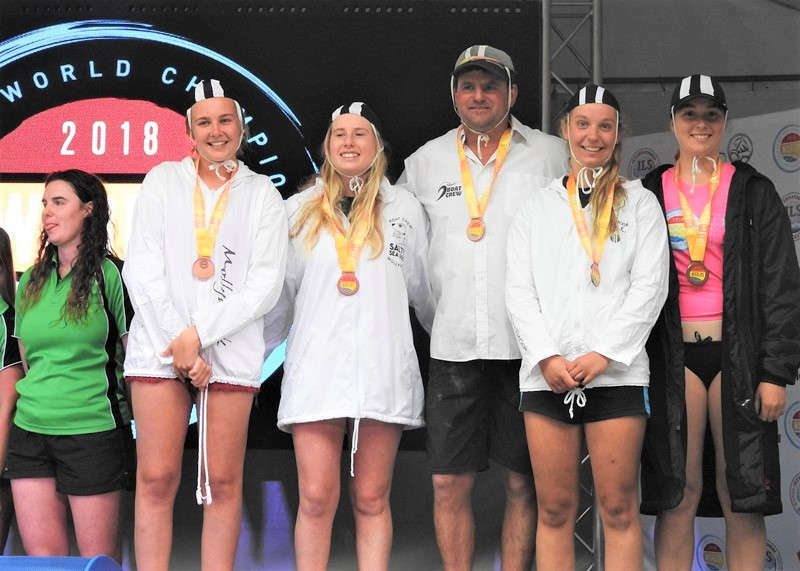 Pure guts and determination is the only way you could describe their final effort as they clawed their way up to be equal with the 3rd boat (New Zealand) and then managed to pull away over the final 30 or so metres to claim 3rd and a BRONZE medal. 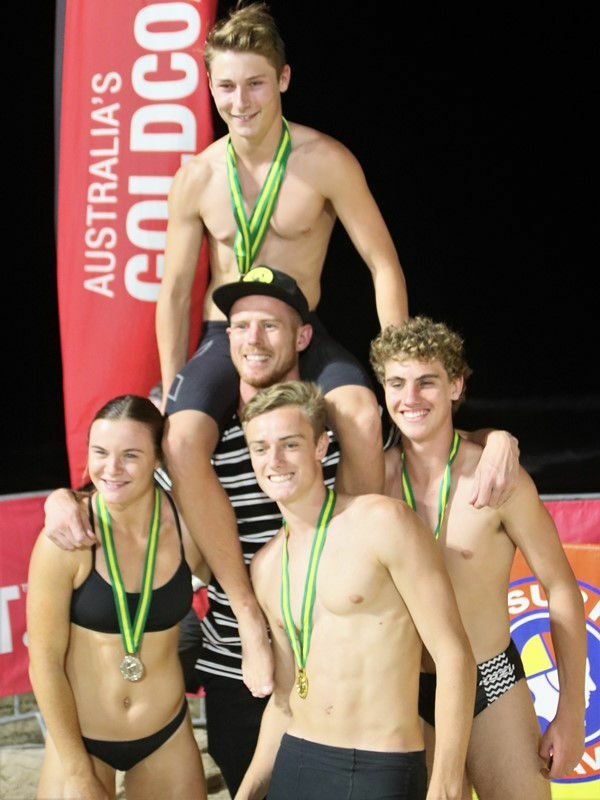 1st position and GOLD went to Dicky Beach, Qld. SILVER to St Kilda, Vic. 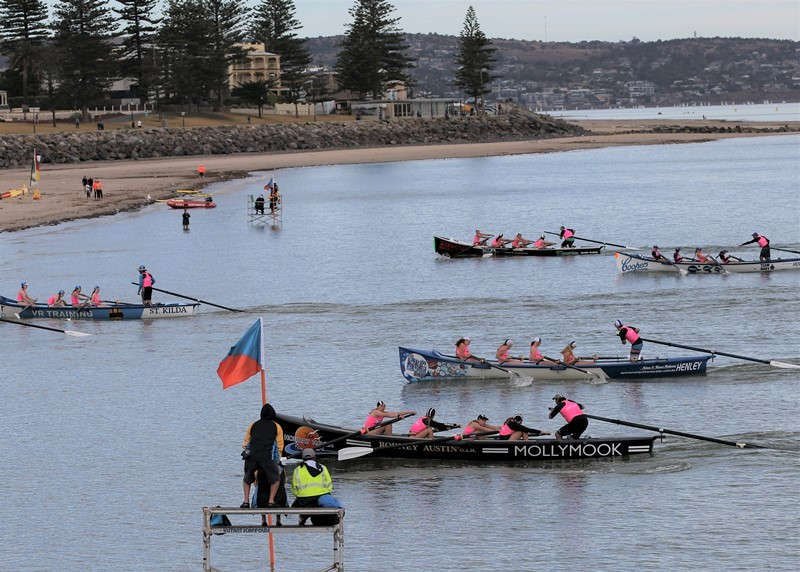 BRONZE to the Mollymook youngsters and 4th Waimari Beach Surf Club, New Zealand competing in one of the boats made available on loan by the Henley S.A. Surf Club.